Two self catering villas in the heart of Tuscany, Podere San Martino is a perfect holiday location to get away from it all and relax, and being midway between Florence and Pisa, it is ideally situated for sightseeing. The villas each have their own gardens, ensuring both privacy and a space for children to play without disturbing other guests! 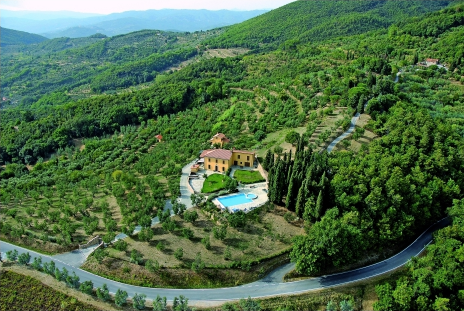 The Hayloft is the villa nearest the swimming pool, while the Olive Grove villa is set among the olive groves. There are two swimming pools, a small one that is very shallow for young children and a larger one, these are fenced in to provide a safe environment for families. Please enjoy looking around our website, and if you can't find what you're looking for, please let us know.